There is a widespread assumption that only hackers and computer “gurus” need VPN. But nowadays you can see that it is an absolutely opposite way. Any internet user can bypass all restrictions in the web, hide personal data or change location if it is needed by using VPN. 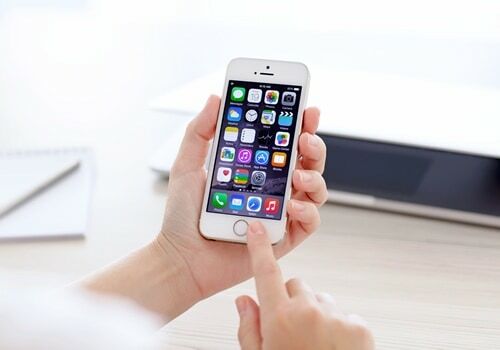 When you use your iPhone or iPad you should be careful with a connection to the WiFi somewhere in public places because your passwords and other personal information may leak. So VPN can help you fix this problem. You will connect to the internet anonymously. Some other features of VPN like location changing might also be useful for you. Especially if you are located in those countries whose government censors some internet websites. But if VPN runs fine on other software, with iOS there might be some problems. You should read more information about the provider you are going to use so you are sure about its compatibility with your iOS. The developers have created iOS 9 platforms in view of the existing numerous security standards, but after few times they’ve found an important flaw in this platform. It happened to know that new software breaks connections through VPN with servers. The experts discovered a breach in one of the versions of iOS 9, beta version, and reported the problem right away. However, the bug has not been fixed in any of the versions. The problem is with Tunnel All DNS. When this feature is enabled, the Tunnel All DNS does not function as it supposed to. So because of this DNS resolution will not work in the right way in specific types of networks. And even after a successful login to your account, certain servers will not be available in this case. This only affects VPN connection but not others. In order to restore VPN connections, experts recommend you uninstall your iOS 9 and reinstall iOS 8.4.1. You should download a backup copy from iTunes, not iCloud. And with other iOS, there were no problems like this detected. Also, iOS 9 brought new opportunities in the realization of virtual private network protocols. This is very useful and helpful feature for Chinese residents. Developers, who work in “Apple”, have done everything they can so Chinese people may bypass “The Great Firewall of China”. VPN providers add a supplementary layer of encryption in order to hide traffic and Apple has implemented a special method for its implementation called Network Extension Points. And the modernization will help Chinese internet users to bypass all prohibitions on the government level and be able to use all information of the internet. VPN is useful for any your device to have secured connection to the internet, to bypass all restrictions and be anonymous while surfing the internet. If you have your devices on iOS then you should read about its compatibility with the VPN provider you’ve chosen. All the information is usually on the official website of your VPN provider or on different thematic websites. If you haven’t found what you needed then ask your question to the manager on your provider’s website. They usually have 24/7 customer support so your question will be answered in less than half an hour.